The Exes Group has offices in Aurangabad and Pune, India. Mostly, our engineers work from Aurangabad, 300 kilometres east of Bombay. This city is known for its fast-growing chemical, pharmaceutical and automotive industries. A smaller group of our engineers works from Pune, known for its many software and IT companies. From our Indian offices, the Exes Group supports companies in different countries; primarily in the Netherlands, but also in other West European countries and the United States. Our engineers in India are university-educated and specialised in many different disciplines, such as mechanical engineering, shipbuilding, manuals and software development. The Exes Group engineers have both on-site and offshore experience because of previous collaborations. Our engineers are familiar with the western way of doing business. Communication with the clients takes place in English. The Indian engineers are in possession of all tools and legal software licenses needed to perform engineering work for the clients. Our Dutch intermediaries are involved particularly in the start-up phase. They ensure that the cooperation runs smoothly. They speak Dutch, English and German. 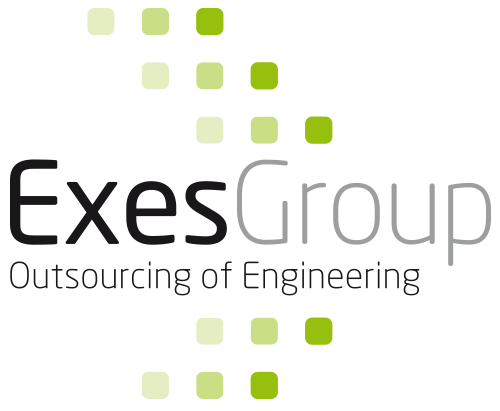 In the past five years, the Exes Group has developed from an organisation with 500 engineers to an organisation with 1,200 active engineers. We strive to employ at least 2,000 engineers by 2020. In addition, we want the Exes Group to further develop in the field of Industry 4.0, i.e. in disciplines such as Internet of Things, Big Data and Augmented Reality. the experiences of Exes Group clients who outsource engineering to India? We would be happy to provide you with more information.